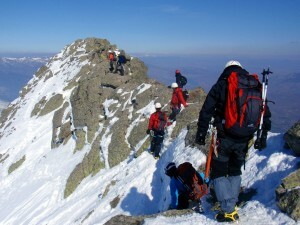 After years of strugglesand administrative proceedings, in which Mountain Wilderness has actively participated, in 2013 a new Mountain National Park was approved in Spain; the Guadarrama National Park. 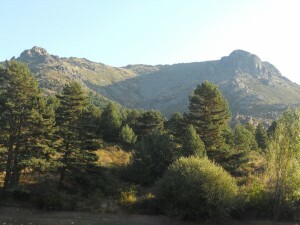 Even if it does not contain large elevations (Peñalara, 2.432m.) or alpine characteristics, on the contrary, it has other important values; the beauty of a landscape formed of medium and high mountains, its special geomorphology, the variety of its fauna and flora, its climatic conditions, its hydrology and many other environmental values. The proximity to Madrid, a metropolitan area with six million inhabitants, only at 40 km. of distance from the Park, threats seriously this special mountain environment (overcrowding and uncontrolled urbanism). In addition, the Mountain range of Guadarrama has an historical value for the practice of climbing and mountaineering in Spain. Generations of sportsmen and naturalists have been formed here, being pioneers of mountain activities in Spain. Nevertheless, the assessment that we do on this new National Park is very critical. The initial expectations that we had on a project that in our opinion would restrain the aggressions that the Mountain range was suffering, have been disappointed. It has been chosen to defend the economic exploitation of its resources, and to convert the Mountain range in something more close to a thematic-tourist park than to a mountain area. The National Park remains short regarding its extension that has been circumscribed to the area of summits, excluding ample areas with exceptional values, sometimes greater than those of the summits. Two ski resorts (Navacerrada and Valdesquí), are located in the “heart” of the Park. Their bad conditions, are incompatible with the concept of a National Park. Mountain Wilderness pleads for the progressive dismantling of these ski resorts, the soil and landscape recovery and the country planning of all environment and its adaptation to a National Park. In any case, we congratulate ourselves with the declaration of a new National Park and will try to contribute to its extension and improvement.